Jordan Brand and Levi’s® have come together again, combining the rich heritage of both brands for new takes on two globally celebrated icons: the Air Jordan IV and Levi Strauss & Co. denim Trucker Jacket. Authentic denim material brings the Trucker Jacket, which celebrated its 50th anniversary in 2017, to life on the Air Jordan IV with a standard wash prominent on the upper and reverse denim material on the liner and insole. 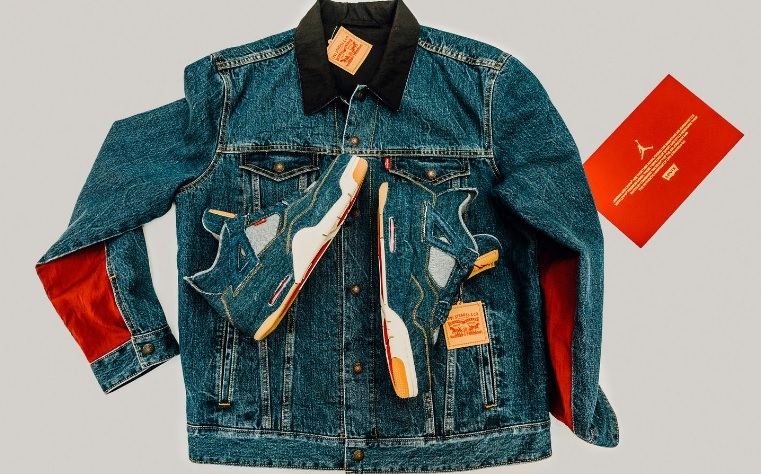 The instantly recognizable Levi’s® “Two Horses” paper patch has been remixed to include the Jumpman logo and is featured on the shoe’s tongue and hangtag. 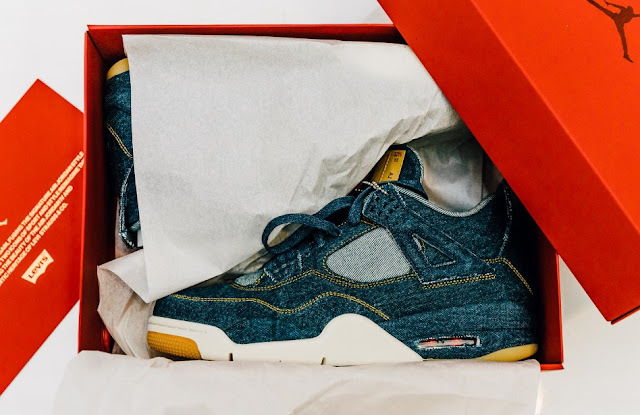 Finishing touches include gum details on the outsole, gold stitching, indigo-color laces and the standard Levi’s Red Tab. The Jordan Reversible Trucker Jacket brings together classic Levi’s craftsmanship, Flight Suit-inspired wings details and standard Levi’s® and Jordan branding throughout. 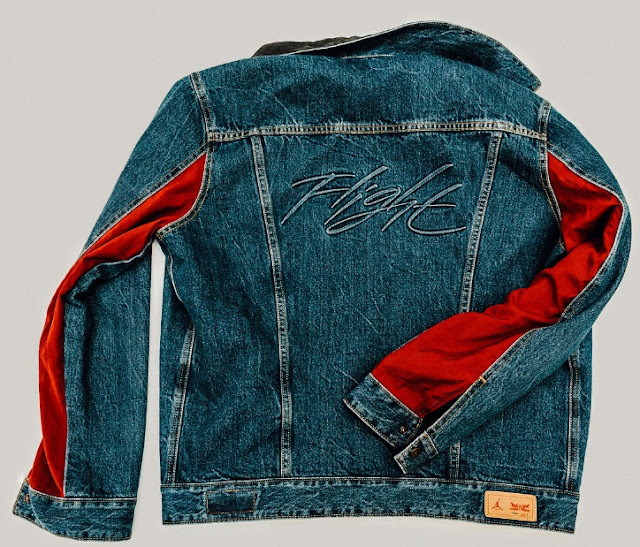 Featuring worn denim, red Flight Suit material is stitched into the underarm panels while the back features a lightly distressed Flight logo. When reversed, you get a black flight suit with a denim accented collar and a Jumpman Flight logo on the back. The jacket is finalized with co-branded dark-copper shank buttons and the classic paper patch on the back hem and attached tag. Wow, look at those sneakers. Learn more about them men's Jordan fashion & footwear brand. You may also want to learn about the new Jordan Why Not Zero.1 Mirror Image sneakers. Russell Westbrook mirror's MJ's passion for the game and relentless drive.